Radon is a radioactive gas that is undetectable by ordinary means. Even when it’s present at high levels, you can’t see it, you can’t smell it, and you can’t taste radon. 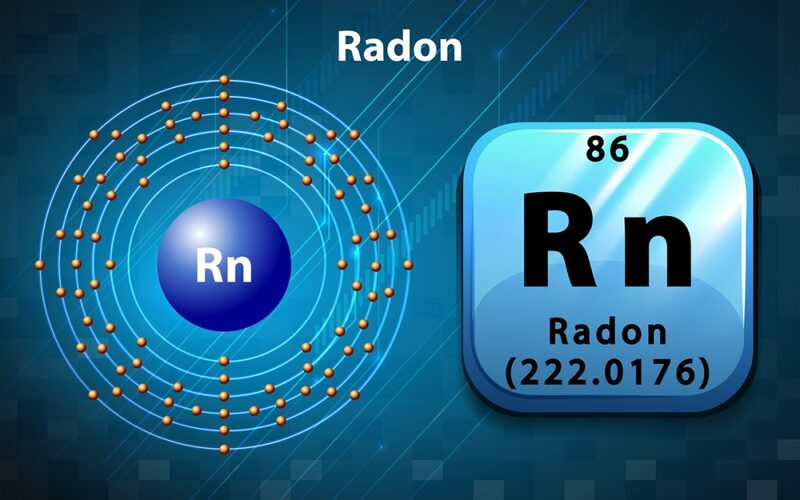 When radon is in the air, it gets inhaled and taken into the lungs. Without mitigating unsafe levels of radon, people can suffer from respiratory issues, including lung cancer. According to the Environmental Protection Agency and the Surgeon General, radon ranks right after cigarettes as a source of lung cancer, causing over 20,000 deaths per year. Radon comes from the breakdown of uranium which is located in the soil. It seeps up from the ground through the foundation and gets trapped in the air inside your home. It’s estimated that one out of every 15 homes has elevated levels of radon. Having your home tested for radon is the only way to know whether or not you are at risk. Even if you’re living in new construction, there’s still a risk for high radon levels. It can affect any home, new and old alike. Radon can leak into the house through cracks or gaps in the foundation or walls, spaces around service pipes that may not be sealed properly, and even water sources such as wells and septic tanks. Your home is where you and your family likely spend most of your time and it’s important to make sure that living there isn’t harming your health. Have your home tested for radon and ease any fears or doubts you may have. You’ll be able to relax and enjoy your space once you have the answers and information you need. If levels above 4 pCi/L are detected, don’t panic. You can hire a radon mitigation company to reduce the levels, and you will be glad you discovered it sooner than later. Manor Home Inspection provides Massachusett’s Greater Boston area with home inspection services and radon testing. Contact us to schedule an appointment.